"Stars of Tomorrow Focused on the Future"
Nova Primary School enables each individual child to shine brightly, without limits, shaping tomorrow's generation, today.The enticing school curriculum has a strong emphasis on how children learn best, underpinned by a creative, problem-solving approach and a focus on children’s personal development. A dynamic, dedicated team of teachers and teaching assistants bring the learning alive through creative activities and experiences. Nova wanted to create a unique series of illustrations for their school entrance to encapsulate the Effective Lifelong Learning Inventory, as well as other wall graphics previously created by us. 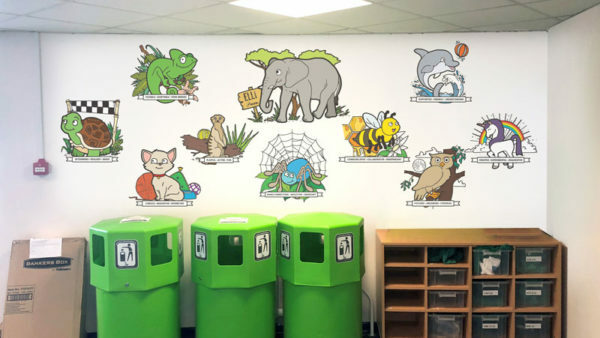 The animals were all illustrated by our team, to describe the seven characteristics that make us better at learning, and are now proudly displayed in the main entrance of Nova Primary School. These animals will also be used in the production of learning materials for every day lessons. Nova Primary School were originally known as Avon Primary School, similar in name to another local school. 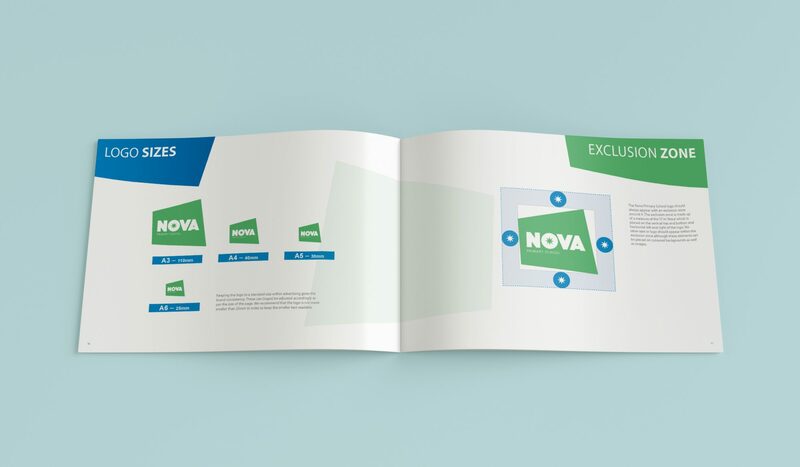 After a mix up in which a local company had donated materials to the wrong school, Nova decided to put its weight behind forging a new identity that would set the school apart. Working together with the leadership team, governors and local parents we workshopped their narrative and presented three ideas, one of which included a renaming of the school. Nova Primary was chosen as well as a new lead colour of green to reflect the amount of green space surrounding the school. 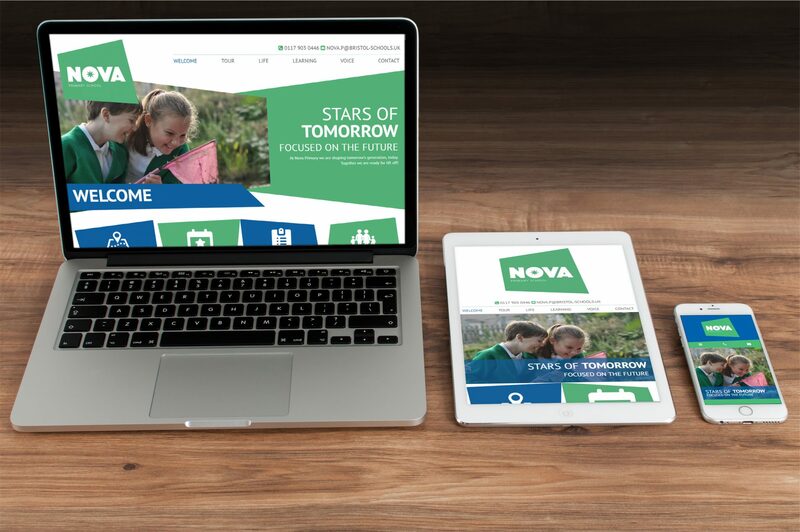 Nova spelt backwards is Avon Primary, so, as a concept, is not completely divorced from the school’s roots. 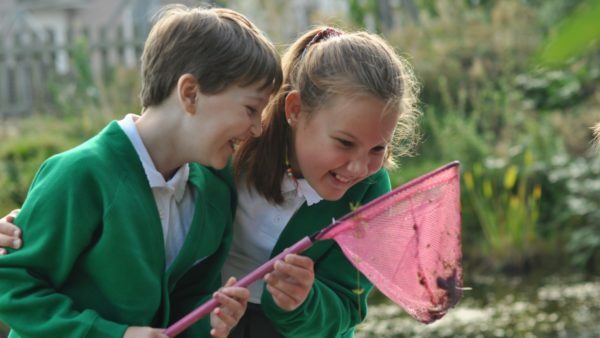 What makes this approach interesting is that the school really do want to help children to discover their potential early on, hence teaching the stars of tomorrow. Why not book a free consultation with Cre8ion and discover just how we can help you tell your story across multiple media streams.